You can use Form 1040 or 1040A to report your Roth IRA conversion. 1. How Are 1099-R Forms Coded for Roth Conversions? 3. Can a Roth Conversion Be Applied to the Previous Tax Year? Using a Roth IRA for your retirement savings permits you to pay taxes on your contributions so that when you take your qualified distributions in retirement, you don’t have to pay income taxes on any of the distributions. You may want to convert money from a pretax retirement account, such as a traditional IRA, traditional 401(k) or traditional 403(b) plan, if you're currently in a lower tax bracket than you expect to be in when you're retired. When you complete a Roth IRA conversion, you must report it on your income tax return because it almost always generates taxable income. You can use IRS Form 1040 or Form 1040A to report money that has been converted to a Roth IRA. When you convert money from a pretax account, the entire amount of the rollover counts as taxable income unless you have a basis in the pretax account. The only way to have a basis in a pretax account is if you made nondeductible contributions to the account. To determine the nontaxable portion of your Roth IRA conversion, complete IRS Form 8606 when you file your taxes. If you convert money to a Roth IRA, you must file your taxes with either Form 1040 or Form 1040A. First, complete Form 8606 to determine the taxable portion of your conversion. If you use Form 1040A and converted from a traditional IRA, you report the total amount converted on line 11a and the taxable portion on 11b. If you converted from a 401(k) or 403(b), report the total amount on line 12a and the taxable portion on line 12b. 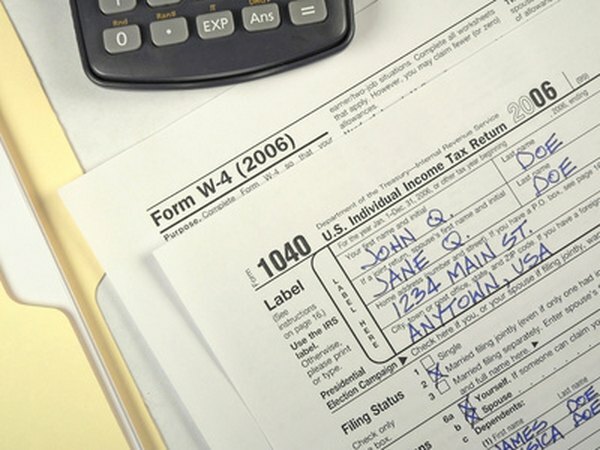 If you use Form 1040 to file your taxes, you report conversions from a traditional IRA on line 15, entering the total amount on line 15a and the taxable portion on line 15b. If you are converting from an employer-sponsored plan, report the total amount of the conversion on line 16a and the taxable portion on line 16b. The taxable portion of your Roth IRA conversion is added to your other taxable income for the year and taxed as ordinary income. As a result, the tax rate you pay depends on your total income for the year. For example, if your conversion falls in the 12 percent tax bracket, you would only pay $600 of tax on a $5,000 conversion. But, if you fall in the 33 percent tax bracket, you would pay $1,650 on that same $5,000 conversion. You will owe income taxes on the taxable part of the Roth IRA conversion in the year you make the conversion. A special election to pay the taxes over two years applied only to amounts converted in 2010. What Is the Difference Between the Conversion and Recharacterization of an IRA? Are IRAs Subject to Pretax Deductions From Payroll? Can I Withdraw Converted Funds From My Roth IRA Penalty Free?